Children need to learn to take care of themselves. Talk to the child about personal cleanliness and why it is important. Together make a list of what needs to be done to clean themselves and get ready for school in the morning. Each morning they should check off what they have accomplished. I let the three-year-old I care for put stickers on each chore she does in the morning. For the first few weeks remind the children to accomplish these tasks and reward them for a job well done. Shortly there after, let them accomplish these tasks without reminding them. Praise them for looking good and doing a good job. 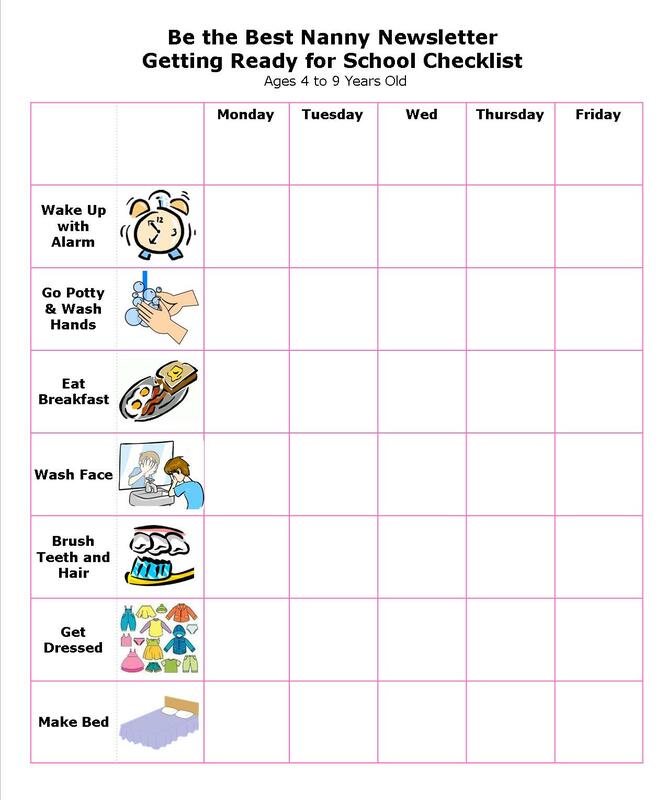 If you prefer to purchase a get ready for school chart for kids click here for our great recommendation. I printed it out and the 3 1/2 yr old and I used stickers. Every time she did the stuff listed on chart she put a sticker on the box and I gave her a hug. So first day was a huge success.